As the Wall Street Journal reported this month, video evidence has emerged as a powerful tool in housing court battles, especially in exposing tenants who have fraudulently claimed rent-controlled apartments as primary residences in order to pass those rights onto relatives in violation of the law. As a result, courts have recently upheld the rights of landlords to mount hidden security cameras in lobbies, hallways, and other shared spaces, in spite of tenants arguing that video surveillance is an intrusive form of harassment. Many property owners and businesses establish video surveillance in order to provide for security measures, prevent crime, and protect customers. 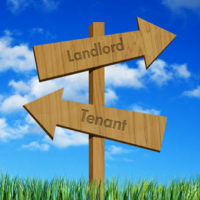 Thus, it makes sense that landlords and property managers would have some of the same rights as business owners, even if video surveillance is established in order to monitor tenants. Under the U.S. Constitution, a person has a reasonable expectation of privacy in certain areas, such as in bathrooms, locker rooms, their own apartments, etc., such that it is illegal to set up video surveillance in these areas. When it comes to private property, video surveillance requires consent of the property owner; however, property owners who rent to tenants cannot install surveillance cameras in areas where those tenants and their guests have a reasonable expectation of privacy, such as inside a home, apartment, its bedrooms, etc. The law draws a line between a reasonable expectation of privacy within private areas versus public spaces and common areas; thus, surveillance cameras and similar technology may be lawfully installed in common areas of both residential and commercial buildings, even if to monitor tenants. The law is similarly applied to employers, who can conduct surveillance of employees while they are on the job, with a few exceptions. Video surveillance is generally permitted except in areas that would violate an employee’s privacy, such as in restrooms, locker rooms, and similar areas. However, it is important to note that the same rules that apply to video surveillance do not apply to all oral communications. Unlike many other states, Florida is a two-party consent state; meaning that oral communications which take place in areas where there is a reasonable expectation of privacy are private and cannot be recorded, unless both parties consent otherwise. Thus, conversations conducted within a person’s home are off-limits (unless both parties consent to being recorded), but not necessarily those which take place at work (for example, there is no reasonable expectation of privacy in a conference call or in one’s emails). If you are a landlord or property owner in need of legal assistance, HD Law Partners can help. 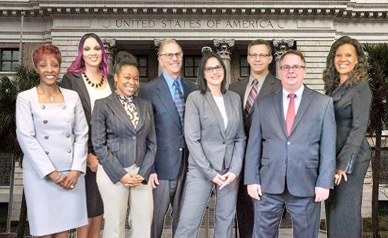 We have more than 40 years of combined experience in representing owners in property disputes, and are dedicated to serving our Florida clients. Contact us today and we can discuss your options.